Winner of 2 international property Awards (Best Interior Design in Europe and Best Property in Greece) the exclusive Villa Quarda has already been home to international celebrities. 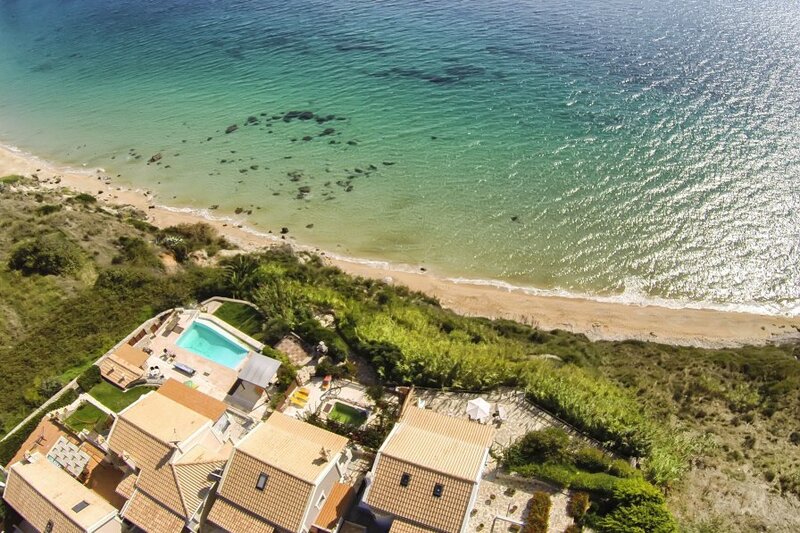 Set on the southern coast of the island of Kefalonia, this spacious brand new villa was designed and built to provide the ultimate elegance and luxury. The location is simply stunning! There are views all around that include the majestic Mount Aenos, one of the ten National Parks in Greece and a bird's eye view of the deep turquoise waters and glorious sunset of the Ionian Sea. There is a private beach 50 meters from the villa that is connected by our purposely built footpath, on the way down, surrounded by Greek summer flowers is our quaint little chapel (which can and has been used for small weddings). The villa which was completed in 2006 and was refurbished in 2011, features 5 star facilities such as a built in sound surround system, the latest smart home technology, walk-in wardrobe, air conditioning, Satellite TV with 60" plasma screen and high speed wireless internet. There is a large exclusive infinity swimming pool surrounded by sun lounges and parasols, an external bar and BBQ area that includes a traditional oven for baking home bread or pizza. There is also a shared tennis court within 400 meters of the villa. This delightful two-storey property 200m2 in size is built in a traditional Kefalonian architectural style with a modern and artistic structure, containing four bedrooms on the ground floor that consist of an extra large double bed with en-suite, a double and two twin bedrooms. The master bedroom has a walk-in wardrobe and all the bedrooms have been elegantly furnished. The double bedrooms have patio doors leading to a shared balcony. There is a separate mosaic tiled bathroom on the ground floor with shower. The villa is designed to sleep up to eight people and where necessary extra beds and a cot can be provided. A utility room is also available that includes a washing machine, iron and board. A stylish wooden staircase leads to the top floor that is open plan with glass patio doors leading to a massive and furnished balcony overlooking the pool and Avithos beach. The top floor consists of a large fully equipped kitchen with a unique decoration that would delight a yachting fraternity. With large wooden work surfaces, granite floors, American style fridge freezer and wine cooler, 5 ring cooker, grill, extractor fan, dish washer, microwave, coffee maker and toaster. The neighbouring dining room area with views of the sunset over the Ionian Sea will comfortably seat 8 people. For guests who wish to stay over the winter period there is also central heating and a wood burning fire place.